1. The U.S. Supreme today -- in a narrow and sharply divided 5 to 4 decision -- struck down a provision in Arizona's campaign finance law that provides public matching or "rescue" funds to candidates for state office in that state who abide by spending limits and agree to utilize only public financing in their own campaigns. Those candidates were then eligible to receive additional marching or rescue funds if their opponent did not abide by spending limits and/or if outside groups spent money attacking the candidate or supported the abiding candidate's opponent. The decision in McComish v. Bennett was not a surprise at all and was fairly narrow in its scope and application. What it did not do is strike down public financing itself, as many experts feared it might do. The matching or rescue funds provision is but one aspect of Arizona's (and Wisconsin's) public finance law and there are a number of ways to repair it. And today's decision may not have a lot of practical effect on Wisconsin's Impartial Justice Act, which was enacted into law in December, 2009 and which provides full public financing to candidates for the Wisconsin Supreme Court who abide by spending limits. 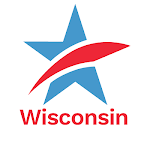 There is a matching funds provision in the Wisconsin law, but it was not utilized in the April State Supreme Court election narrowly won by Justice David Prosser over challenger Joanne Kloppenburg. Both Prosser and Kloppenburg abided by spending limits of $400,000 and both utilized no private contributions. And the matching funds provision of the Impartial Justice Act never "kicked in" for outside spending because outside groups used phony issue ads which are not yet subject to required disclosure which, in turn, would have triggered the matching funds provision of the law had they been subject to disclosure. Another difference between Arizona and Wisconsin is that their matching or rescue funds provision applies to all statewide and legislative elections, whereas Wisconsin's law applies only to State Supreme Court elections. Courts, including the U.S. Seventh Circuit Court of Appeals which is now reviewing Wisconsin's Impartial Justice Act, may view judicial elections and the application of public financing and matching funds somewhat differently than they view matching or rescue funds for legislative and other non-judicial elections. So, the "jury" is still out on how this U.S. Supreme Court decision will apply to Wisconsin. The decision was misguided and wrong, in our judgment, as Justice Elena Kagen wrote in her strong dissent which was joined by three other justices. But this is not the "death knell" for public financing as some predicted it would be. Far from it. And Wisconsin's Impartial Justice Act was not completely undermined by today's decision. The state budget, which became law yesterday and which stripped away funding for Impartial Justice, was a far more damaging public policy action. 2. With secret maps being quietly circulated in the Capitol about what new state legislative and congressional districts might look like -- all being done at taxpayer expense but out of the public eye -- reform of Wisconsin's secretive and partisan redistricting process is clearly needed. Tomorrow (Tuesday) at Noon, concerned citizens and legislators will hold a press conference in the Assembly Parlor of the State Capitol to discuss newly introduced redistricting reform legislation and what needs to be done in Wisconsin to fix our system. CC/WI will have more about both the McComish decision and redistricting reform soon, so stay tuned. U.S. Supreme Court Strikes Down Matching Public Funds But the Effect on Wisconsin is Not Clear YetTweet this!